The Madison Camper and RV Show and Sale is held annually the first weekend in February, with this year’s dates being February 1st – 3rd, 2019. Over 122,000 sq feet of campers and RVs are on display at the Alliant Energy Center in Madison, WI for your viewing or purchasing pleasure. Attendees are able to check out booths by dealer or by type of RV and if you’re just looking for customization, a new golf cart, or where to camp during your next vacation, this show has you covered! Your friendly WACO staff will be at Booths 68-71. Be sure to stop by and grab a 2019 WACO Directory, learn about upcoming events, and if you’re a campground owner, become a member! 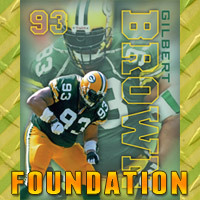 The Gilbert Brown Foundation will be hosting “The Gravedigger’s Prize is Right” game. Visit the stage to play and win, and check out information about the foundation at Booth 68-71. Over 1 mile of RVs and camping equipment will be on display from Madison and Dane County merchants. If you’re in the market for a new RV, accessories for your current RV, or where to camp this upcoming season, this is a GREAT opportunity to check out what’s available to you and your family. 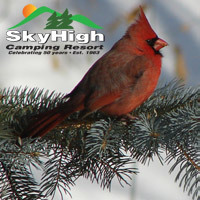 Campground exhibitors – see almost 30 campground booths – listed above! 10 Categories of RVs will be on display and available for purchase, including: Class A, B, C Motorhomes, Expandable Trailers, Fifth Wheels, Park Models, Tent Trailers, Toy Haulers, Travel Trailers, and Truck Campers! Madison is home to our State Capital, UW-Madison, and food…lots of FOOD! Before or after your show visit, be sure to make a trip of it and see what Madison has to offer for visitors. The show is located in an area with ample lodging options! The Alliant Energy Center highlights three hotels as being closest, but offers over 50 options within 50 miles. Lots of places to call “home” as you can see! Check reviews, but typically if the show lists the hotel as a partner, they are a good bet for service and location.